On her Instagram account, Webb posted a photo taken during her visit on the CNN Philippines studio on Wednesday, with a caption: "Yesterday I saw familiar faces and met new ones  Thank you @cnnphilippines for welcoming me and giving me another chance to purse my dream job ." CNN Philippines has just announced that Pinky Webb will officially be joining its news division. "Welcome to the CNN Philippines family, Pinky Webb! @iampinkywebb," reads the announcement, as posted on the network's Twitter account @cnnphilippines this afternoon. Executive Vice President and Managing Editor Armie Jarin-Bennett has also welcomed the former ABS-CBN news anchor with a tweet saying, "Welcome Pinky!!!!!!! @iampinkywebb." 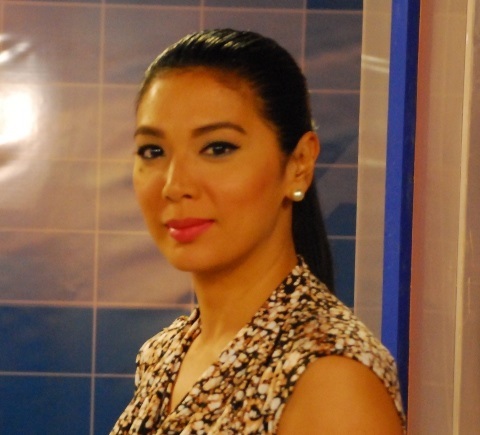 Webb's move to the local CNN station had long been expected following her departure last year at the Kapamilya Network. No official word yet on when she will be making her CNN Philippines debut, but sources are telling us that she will likely be seen before the May 2016 elections.